Last year, Bay Area thrash vets TRAUMA announced their long-awaited comeback and new member additions. 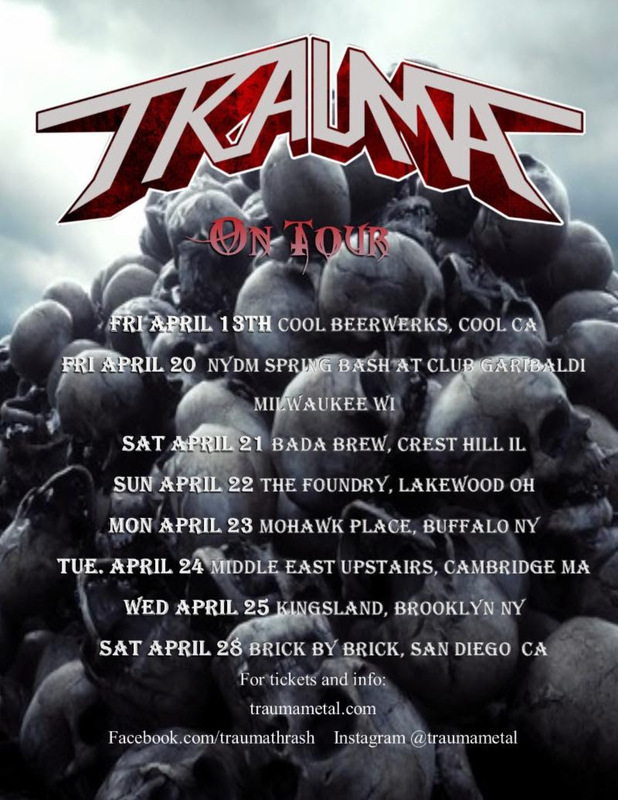 In advance of finishing their upcoming third album, TRAUMA are set to hit the road on a brief headline tour beginning April 13 in Cool, CA. Additional east coast and midwestern dates have also been added. Check out the dates below.